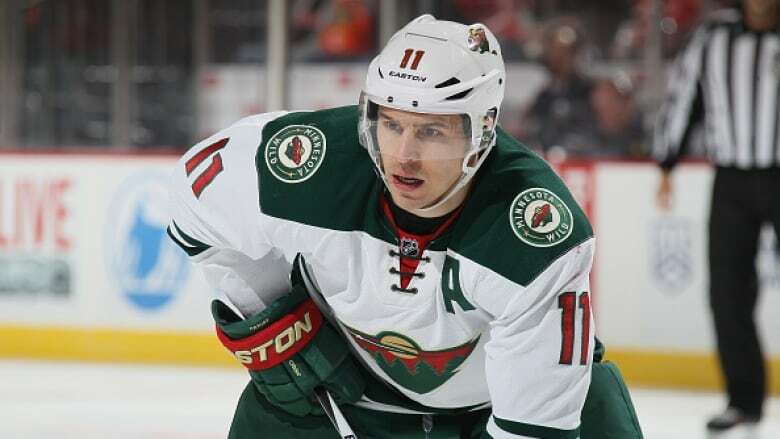 Minnesota Wild forwards Zach Parise and Jason Pominville have been diagnosed with mumps and must miss at least three games. The Minnesota Wild came back from their five-day bye with a most unwelcome visitor: the mumps virus. Assistant coach Scott Stevens was also stricken, coach Bruce Boudreau said after the Wild beat Los Angeles 5-4 in overtime/a on Monday night. Two seasons ago, when Boudreau was the coach for Anaheim, both the Wild and the Ducks were hit hard by mumps as it made its way around the NHL. The Wild had five defencemen get the virus that time, with absences ranging from one game to roughly three weeks. "What can you do? You just sit there and go, 'Here we go,"' Boudreau said. "It's a lot for one team in a few years," right wing Mikael Granlund said. "If someone had it in that pile, then we all got it so we'll see it what happens," centre Eric Staal said. "I knew it was coming, so I wasn't surprised," Hanzal said. "It's been a little emotional. Now I'm here and this is my new home." The deal was a sign of faith from general manager Chuck Fletcher. Hanzal, who had 16 goals and 10 assists in 51 games for Arizona, is in the final year of his contract. He's a big centre with stick skills and faceoff success. "That's Chuck telling us that he believes we can win in here," goalie Devan Dubnyk said. "I think we all believe that anyway, but when he's willing to go out and trade some draft picks for an opportunity to win this year that should let us know something for sure."